As readers of this blog will know, on Saturday 29th August 2015 I attended the first day of The BBC Good Food Festival at Hampton Court. 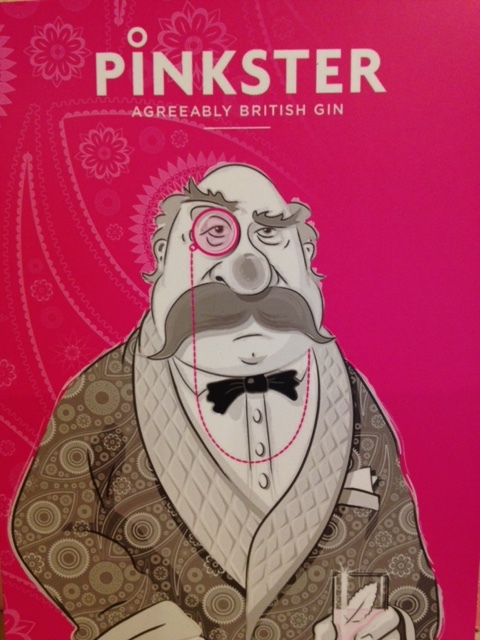 I promised I’d write in a little more detail about some of the goodies I saw and thought I’d start with Pinkster Gin. Because it’s PINK! And also because it tasted rather good so deserves a special mention in a post of its own. I should add that I bought a bottle of the pink stuff with my very own credit card and Pinkster did not ask me or pay me to write a review. I’m not a big drinker at all and so on the rare occasions I do imbibe, the product needs to really hit the spot and satisfy my not very complicated and usually alcohol free taste buds. I was very interested to see how the steeping of raspberries in gin would affect the flavour. It gives the gin a delicate pink tinge which is visually very appealing but how would it taste? At the BBC Good Food Festival, there were two charming young chaps at the Pinkster stand and they were offering small tasters. They did ask if I’d like to try a sample ‘neat’ so I did! I only took a small sip but it packed a lot of flavour and wasn’t bitter. Here are the two chaps in question. 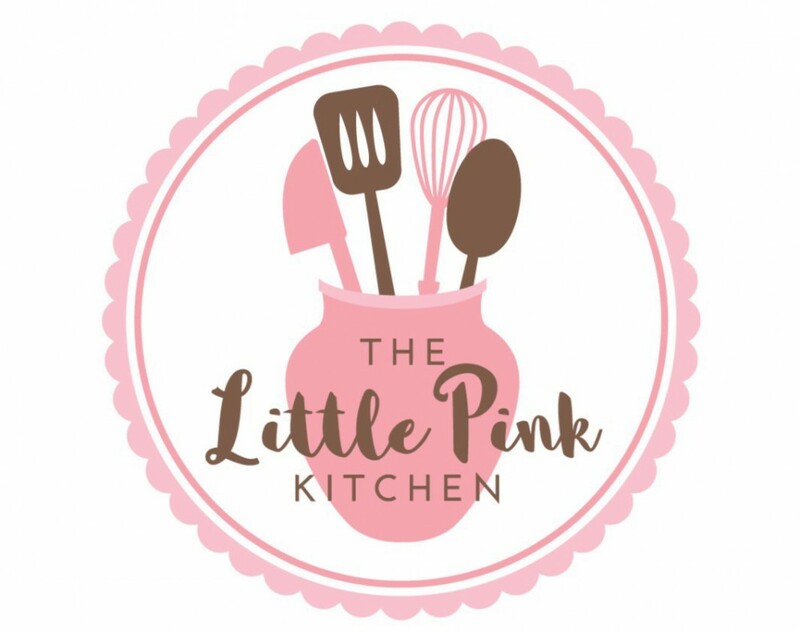 They did look awfully fetching in their pink shirts and stylish black aprons. As I’m not a regular drinker I can’t comment too much on the ‘bouquet’ or any other such stuff so my review is comparatively simple. What I found was that although I didn’t pick up a strong raspberry flavour – rather a subliminal hint – there was no bitter aftertaste that I’ve noticed previously with other gins, (bitterness is apparently down to the juniper). 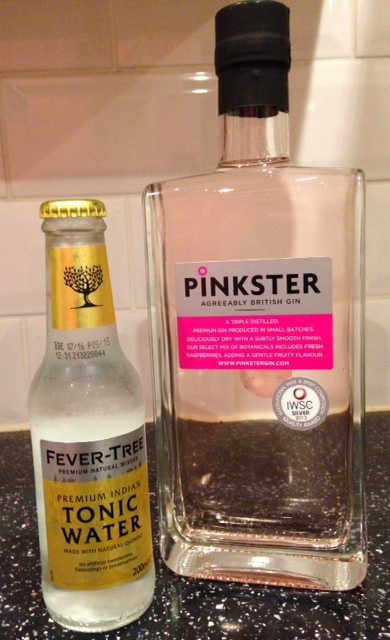 I then tried Pinkster with some Fever Tree Indian tonic water and I have to say I thought it was delightful: refreshing, smooth and not heavy. I could see Pinkster making an excellent base for cocktails although as I’m no mixologist, I’ll leave that to the more creative individuals. Actually, there are cocktail recipes on the Pinkster’s website so that’s a good place to start! According to Pinkster’s website, they make small batches and hand-steep fresh British raspberries in the spirit at their headquarters in Cambridge. 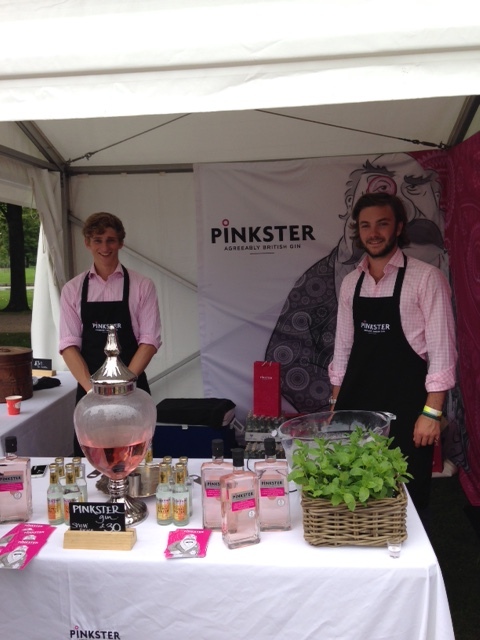 Pinkster’s is “a premium gin made up of five botanicals” and it launched in 2013. All I’d add to that is: it tastes awfully good. As the Colonel would say – pip pip! It’s a great wee gin, I really like it! I first tried it at a food event too, it’s a great way to find new things isn’t it? Pip pip!